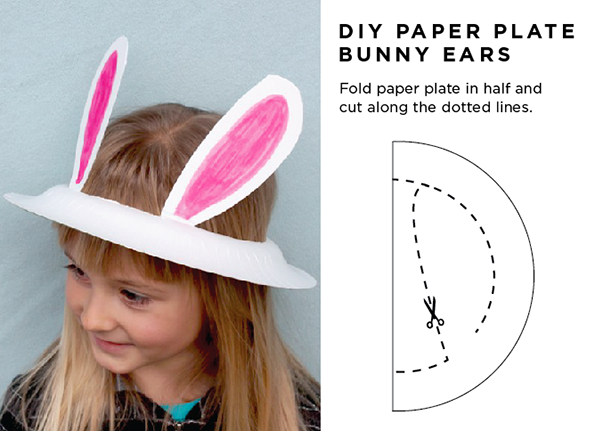 All you need to make this cute Easter bunny hat is some paper plates and a pair of scissors! Check out full tutorial along with other cool holiday hats at Alpha Mom here. Just fold the paper plate and cut along the dotted lines!